Ridiculously moist and fudgy, this double chocolate brownie would please all chocoholics a lot. Microwave it and it transforms into a moist cake with a soft crumb that melts in your mouth instantly. DELISH and horribly addictive. 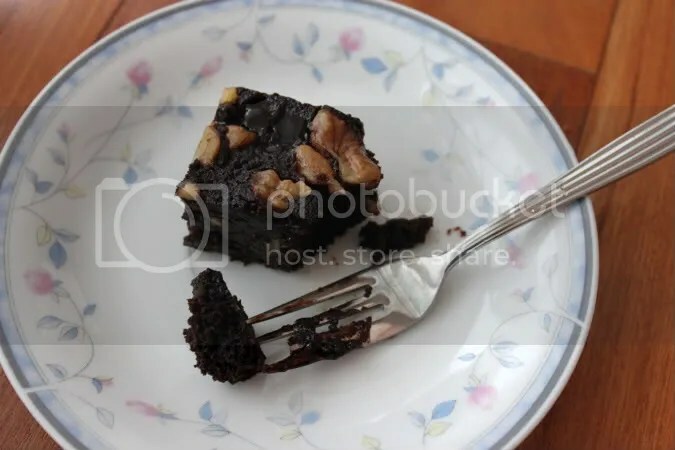 The crunchy walnuts added an extra texture and balanced the rich chocolatey flavours. These brownies are sold in trays of 10, perfect for parties and gatherings. To find out more, click here!